Being able to ‘wash and go’ is what hair dreams are made of. The thought of jumping in the shower, lathering up and then heading straight to work is one that would never cross my mind. For many of us looking groomed takes a little more planning. I have found that I am learning more and more about my hair type and how to get it looking tip-top with minimal effort. In the past I haven’t had a go-to Salon that I would be happy to recommend - however this has all changed after a recent Salon visit. To start this off I wanted to run through my simple tips for helping to achieve your dream hair. Some of these tips I have followed for years but some are new additions that I will be adding to the list. You know, that ancient saying that gets bounced about in beauty constantly. ‘You are what you eat’. Being aware of what you are putting in really does make a huge difference to the condition of your hair. Radically changing your diet may mean it takes a while to notice any difference but it will happen. My biggest tip, and I am the biggest culprit of this, is drink enough water. If your skin and hair is on the dry side simply slapping some hydrating products onto the outside won’t be enough. You need to hydrate from the core. Healthy hair also needs plenty of Protein, Iron and Vitamin C so regular intake of Chicken and fish, red meat, leafy greens and berries will help keep your locks looking great. You always want what you don’t have. This saying couldn’t be more true. Even from one week to the next I change my hair crushes. However knowing your own hair type is key to achieving hair goals. Before I go into detail about my Salon trip I should run through my hair type. My hair is a little on the dry side, mainly due to heat products and only recently using a heat protector. It has a curl to it which means it needs smoothing but does keep waves nicely in place until I wash it. Naturally a mousy blonde I have high-lightened and died it since the age of 15. When going in I had an obvious 1 inch of root growth and it was a tad on the gold side. Use good products such as a heat protection spray every time you wash or style. Focus on the ends which I always find are the first to let me down. Use a serum or oil daily. 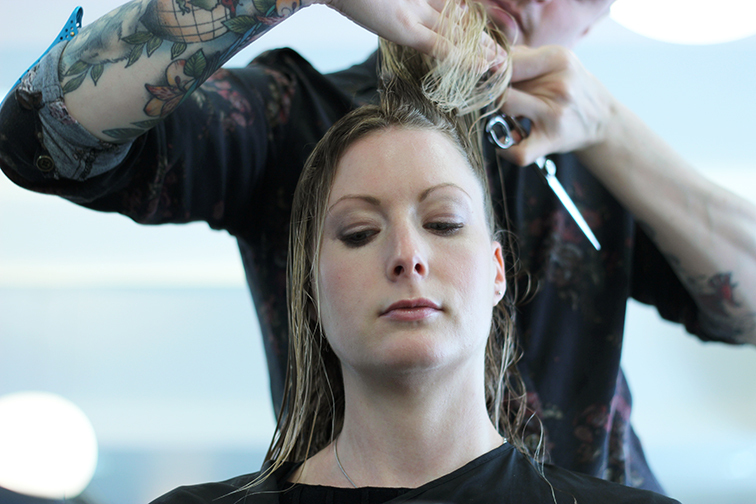 My most recent tip – go for a trim every 8 to 12 weeks. This can be the tiniest cut but after time hair will look thicker and fuller. Where my hair breaks off at the ends due to damage it looks ‘skinny’. Regular trims will thicken this up and give a healthier look. Marcos I’m holding you to this one! This is my best tip yet and comes very much thanks to the team at Tony and Guy. You may have already heard of Opaplex as it has been splattered about in the pages of many top magazines with rave reviews. Vogue refers to the treatment as the ‘holy grail for coloured hair’ and it has certainly done wonders for mine. The treatment claims to take your hair back to it’s natural condition in around half an hour. It’s all pretty scientific but to put it simply Opaplex is a conditioning treatment that repairs disulphate sulfur bonds within the hair’s structure which get broken down by heat and colouring . All those sticking out split ends all over your head basically get put back together to create smooth shiny hair! Your hair is coated in the liquid Olaplex Bond Multiplier which is slightly cold and left like you would a deap conditioner for around five minutes. Then the second stage Bond Perfector is sprayed on for some serious repairing. Fifteen minutes later this is washed off. There is no bad smell and no discomfort. 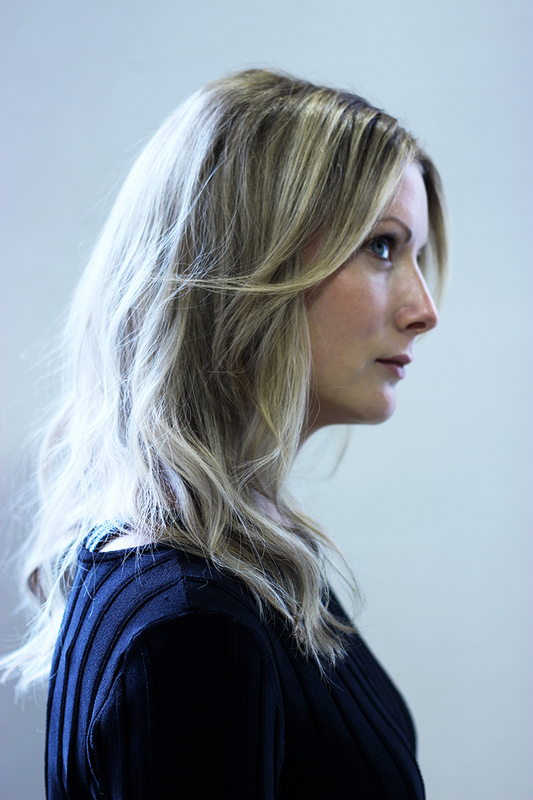 The Olaplex treatment can be done at the same time as your colour or on its own as a single treatment. I didn’t think blonde hair could ever be shiny but I now know differently. My hair has a mirror gloss to is that I have never seen before. 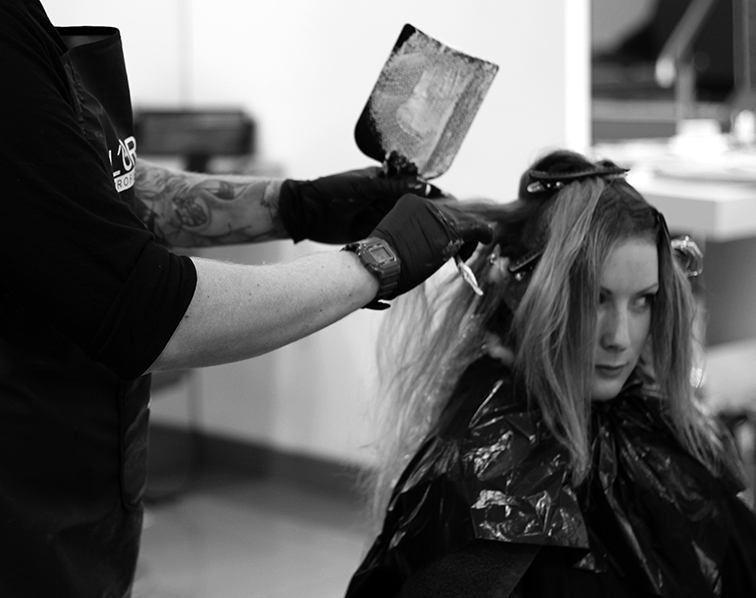 The best thing is the treatments lasts until you colour it again. 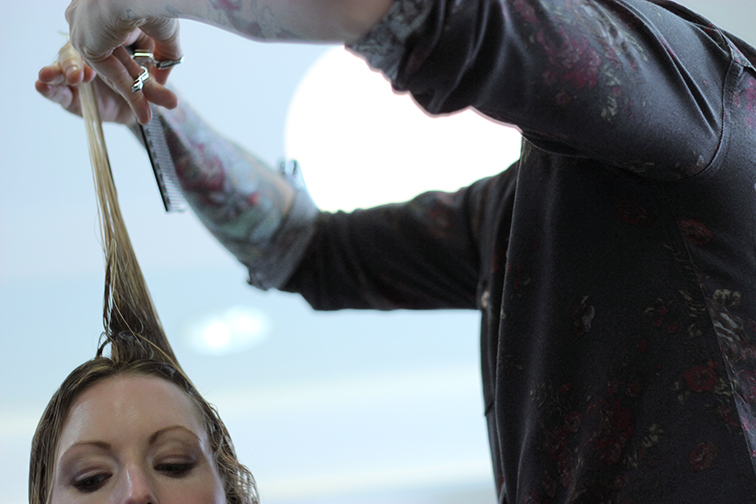 Opaplex costs from around £30 in Tony & Guy Salons. I booked in to the Tony & Guy Brighton Salon with only the idea that I wanted to be a little lighter and look a little more glossy. I was met by their lovely team and Josh who was doing my colour. I talked through ideas with Josh on what I liked and what he would advise. If you are visiting a new Salon or going for a new look I would book in a separate consultation to go through this so it doesn’t eat into your time slot. As I wanted to go lighter and stay natural looking Josh advised on a Balayage rather than highlights which can look more dated. 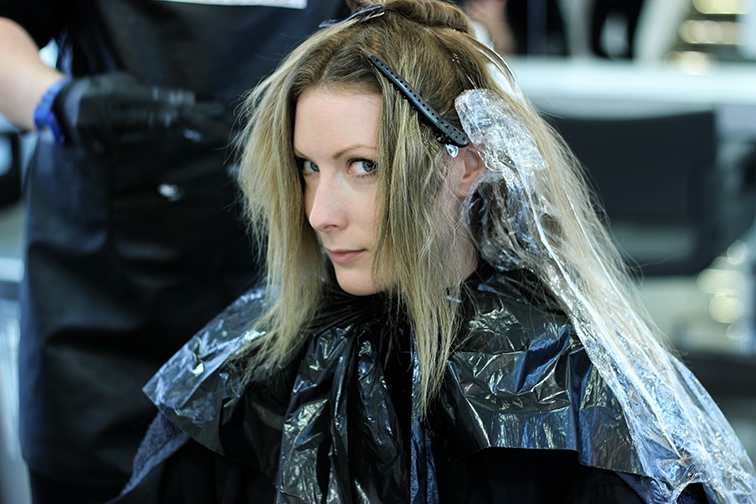 It involves keeping your roots a natural colour and painting blonde into your ends with a brush. The result looks modern and fresh. Marcos cut my hair with just a trim as requested and tidied up my growing out fringe before applying the Opaplex whilst washing. I was thrilled with the end result and two weeks later it is still looking great and super shiny.